Enjoy the beauty of beautiful cedar vinyl siding, without all the maintenance. 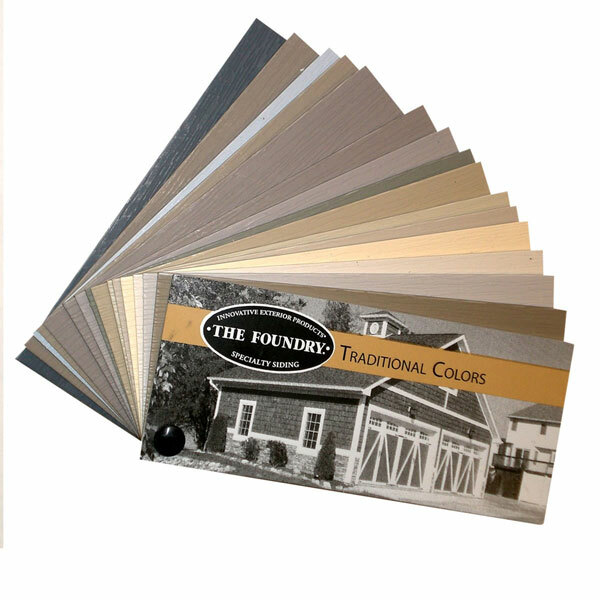 This color fan deck will give you the opportunity to view our beautiful color selection in the comfort of your own home. Cedar is treasured for its immersive, stunning curb appeal. However, real cedar requires meticulous and continual upkeep. Foundry delivers a comprehensive, genuine selection of cedar profiles that offers outstanding curb appeal and maintenance-free living. Unlike wood, it will never rot, warp, buckle or crack. From shingles with a subtle grain detail to staggered shakes with a bold rustic dimension, our textures help you create your desired look—beautifully, simply and maintenance-free.